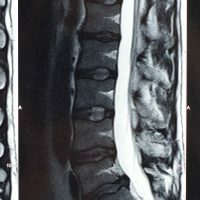 Cauda Equina syndrome is considered to be a severe neurological condition, the discovery of which almost always requires prompt surgical intervention. The syndrome is characterized by severe damage to the function of the nerve roots in the spinal column in the area below the end of the spinal cord itself. This type of injury can result in irreversible damage to movement ability and sensation in numerous body parts, particularly the lower body, as well as incontinence. As mentioned previously, diagnosis of the syndrome almost always requires surgery, particularly in advanced cases. Prof. Shimon Rochkind, a neurosurgeon who specializes in microsurgical procedures in the peripheral nervous system and one of the leading specialists at the Neurosurgical Center for Excellence of Herzeliya Medical Center, has extensive experience in the treatment of Cauda Equina syndrome. Cauda Equina syndrome is a syndrome caused by damage to a group of nerves found in the lower part of the spine, at the continuation of the spinal cord beginning from the first lumbar vertebra. The structure is composed of a large bundle of nerves that form a structure that is visually similar to a horse’s tail – or in Latin, a cauda equina (which is where the condition gets its name). Disruption of normal reflexes in the area of the knee and ankle. All of these symptoms, particularly the appearance of a number of them simultaneously, requires urgent treatment to prevent worsening and decompensation. Nerve damage is damage for which rehabilitation is difficult (or even impossible), and therefore treatment provided as rapidly as possible is very important. Cauda Equina syndrome is caused by long standing pressure applied to the bundle of nerves located in the lower back. In most cases, the cause is a severe herniated disc that creates pressure on the dural sac that envelops the adjacent nerve roots thereby causing nerve damage. Due to the significant dangers and implications of the condition, its discovery necessitates surgical intervention following precise diagnosis of the problem based on the various presenting symptoms as well as appropriate imaging tests. After diagnosis, which Prof. Rochkind can use to confirm the presence of the syndrome and evaluate the nature of the damage, a date for surgery will be set. Sometimes, and particularly in especially severe cases, the operation is performed a relatively short while after discovery of the syndrome, in order to limit the risk of irreversible damage to the nerve roots in the area. The operation focuses for the most part on the causative factor applying the pressure to nerves in the Cauda Equina – whether it be a herniated disc or a tumor. Afterwards, the dural sac and the nerve roots are released. In the event of a tumor located on the nerve roots of the Cauda Equina within the dural sac, the tumor is removed while protecting the integrity the nerve roots of the Cauda Equina. These operations are performed with the help of microscopes and the most advanced microsurgical tools. Note that relief of symptoms – particular of pain, weakness of the legs and sphincter incontinence caused by appearance of the syndrome – will typically resolve only after a period of time. The damaged nerves sometimes require a long recovery process, depending on the severity of the initial injury. Are you suffering from chronic lower back or leg pain, progressive weakness in your legs or incontinence? Are you suffering from one or more of the symptoms listed above? Contact us urgently at the Neurosurgical Center for Excellence at the Herzliya Medical Center in order to receive quick, precise and professional treatment.